Alright. We can stop bumping the fists now. It's going to be OK bro. Just let it go. Is Google Making Us Stupid? - I don't know about us. You? Sure seems like it. 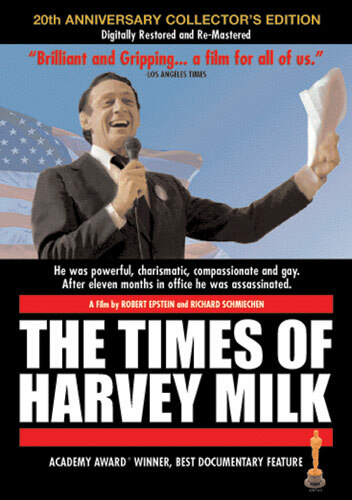 I knew very little about Harvey Milk before seeing this documentary, but since Sean Penn will be playing him in an upcoming film, I figured it wouldn't hurt to get the real story before I go out to the theater to get the Gus Van Sant version (which I have no reason to believe won't follow the actual story faithfully). Milk is an interesting guy, and his story makes for a really great documentary. In the end, it's a sad story, but there's so much hope preceding the ugliness that it doesn't seem completely fruitless. If that makes any sense. While Milk is not super well-known (though I'm sure he will be in the spotlight this next year), he certainly deserves to be. This is one of those documentaries that would make a compelling story whether it was true or not. Now I wait to see what actors they got to play what characters in the film. I could check IMDb, but I'm gonna let 'em surprise me! The small print on this one reads "Featuring the Theme from 'Which Way is Up.'" Apparently this was their signature number, and while I sit here listening to it, I can't say I recognize it at all. But, I wouldn't expect to. This is another disco-crazed, coke-infused record, though this one has a lot more legitimate musicianship to it than you might expect. That's not to say it's great, but there are some discernible grooves tucked away here and there. The record starts with "Three Girls," a track where the ladies, who all sound like they haven't slept in days, let us know their zodiac signs, along with some long-winded malarkey about how they're from space or something. It's wild. When it wraps up eight songs later with the bizarre "Disco Rufus," you'll feel like you just mini-bumped with a gummy. 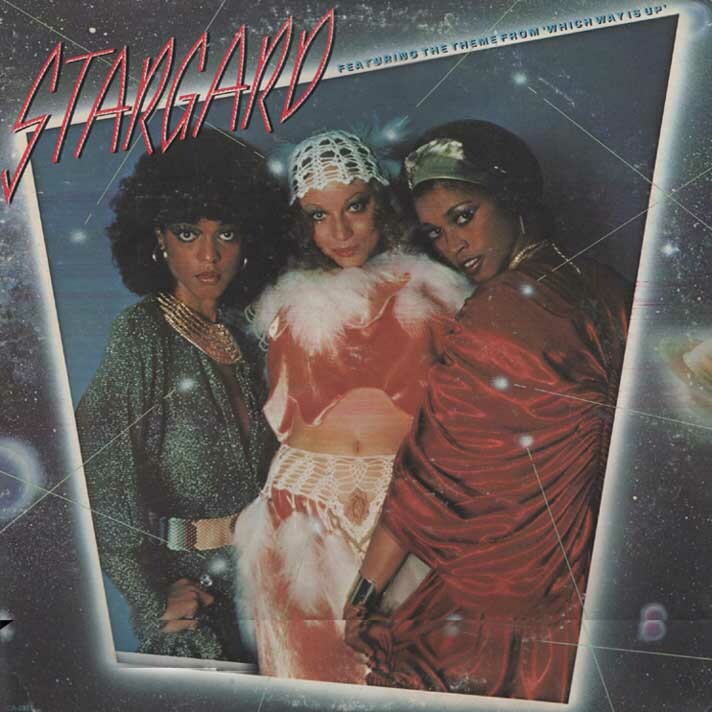 From the back bottom right-hand corner: "See Stargard in the Robert Stigwood production "Sgt. Pepper's Lonely Hearts Club Band." Yikes. gash hound - A sweet thing to call a guy who's obsessed with the ladies. Origin - 50's-era cool guys. Usage - "Oh, dude. So many cougs and so little time." "Dude, you have me worried. You're talking like your doucheshiki is gripping you too tight." "Dude, not a chance. I am living the dream, as the mayor of cougtown, population: coug." "Dude, that did not make sense. But if nothing else, you still hold dear all the vital traits of a first-class gash hound." 06. You refer to E! News as "The News"
05. You have a yin and yang tattoo that you refer to as your "ying yang tat"
03. You allow your collection of bumper stickers to speak for themselves, and you!